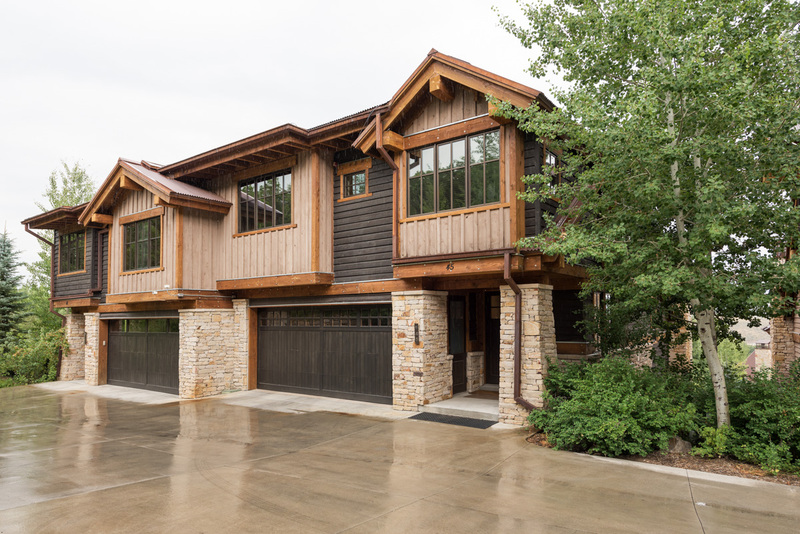 Located at the end of a quiet court with mountain views, steps from a ski access funicular shared only among Silver Star Cottage residents, this bright 4-bedroom, 6-bath cottage offers rare mid-mountain access to Park City’s slopes with full Silver Star amenities, including on-site concierge service and a heated swimming pool. 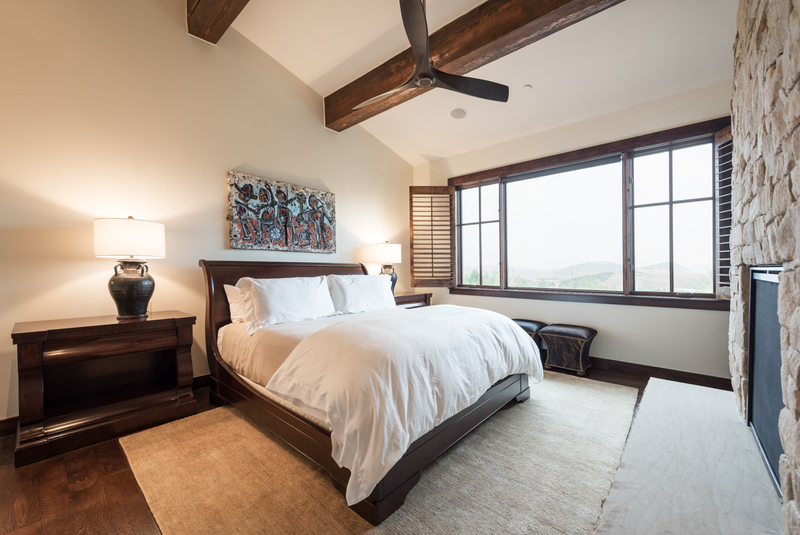 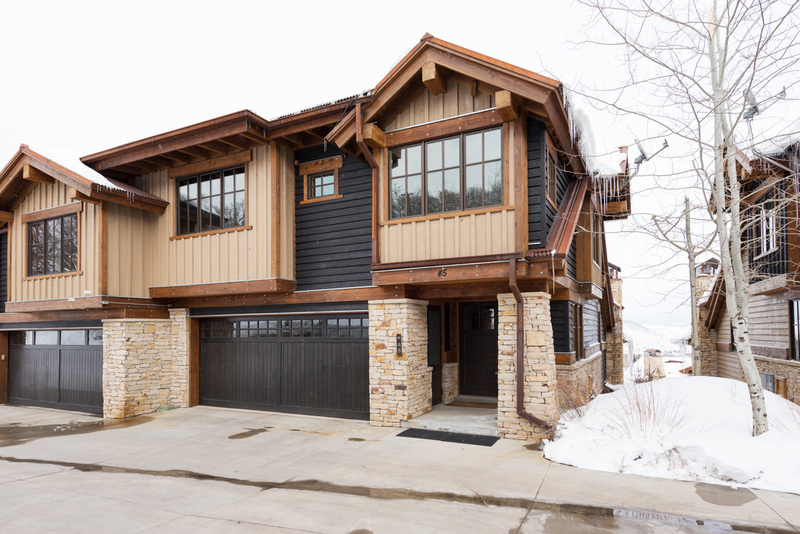 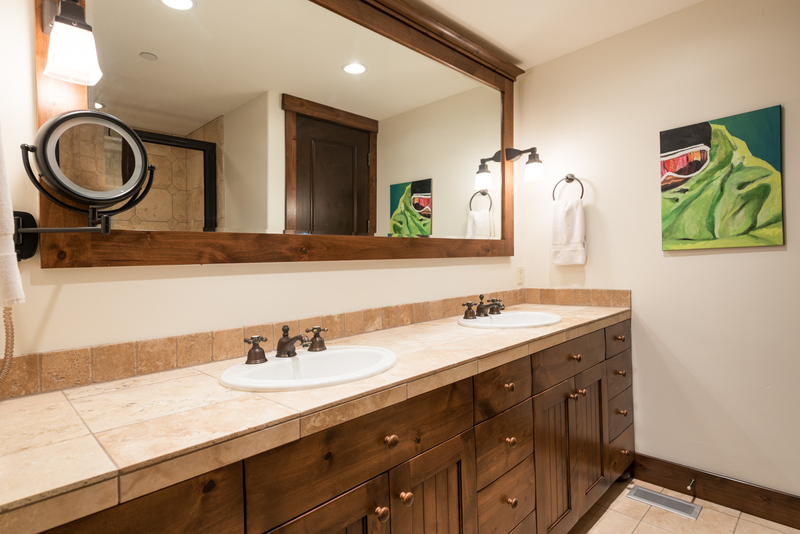 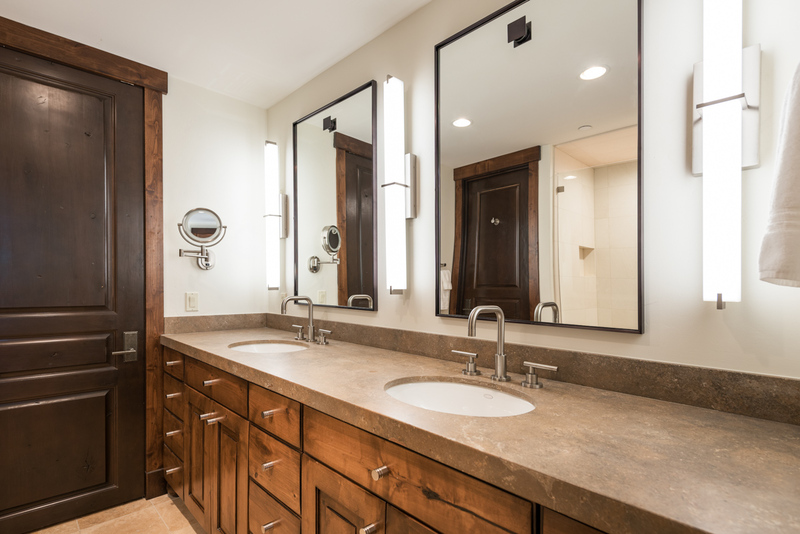 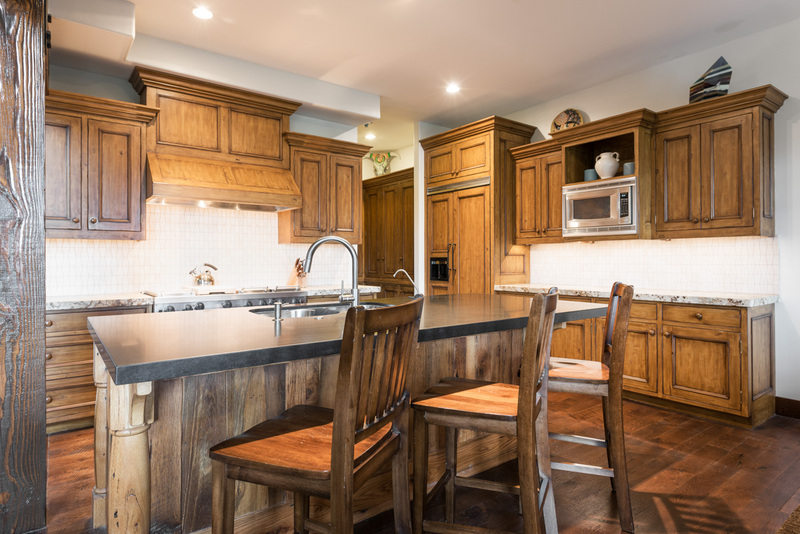 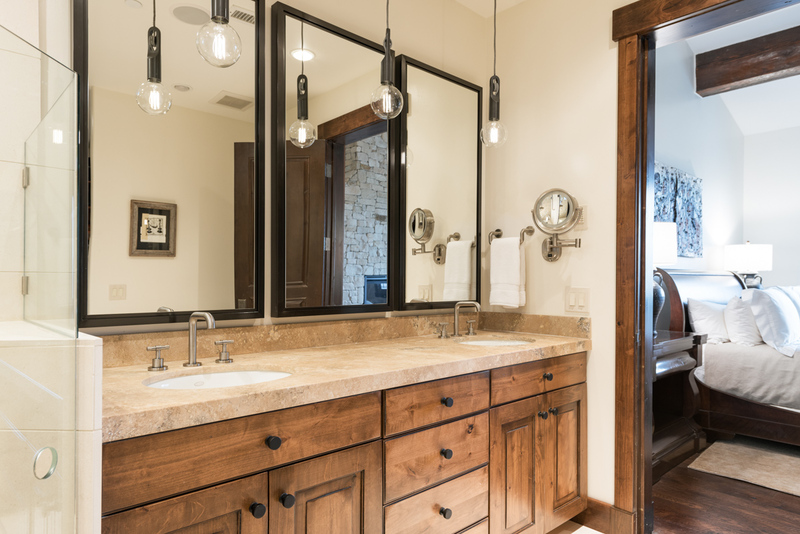 A three-level property with 3,200 square-feet of living space, Silver Star #45 features rich hardwood beams and iron accents reminiscent of Park City’s mining heyday, a signature of the Silver Star community. 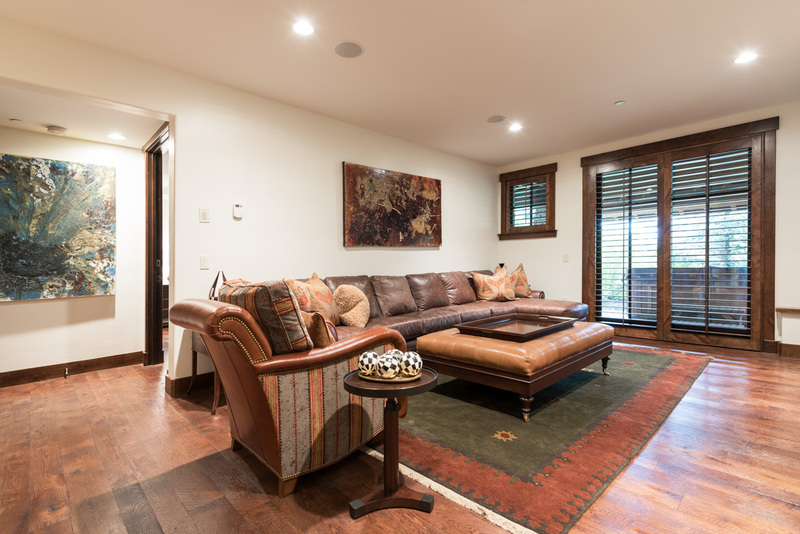 With vaulted ceilings and picture windows, the light-filled great room offers an inviting space to gather. 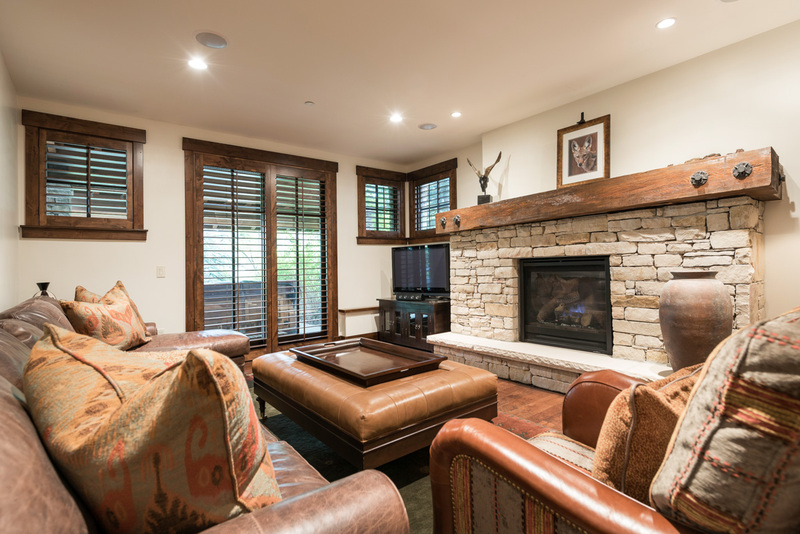 A leather sofa, lounge chair and twin armchairs frame a stone brick fireplace, where a striking, colorful painting of a winter sky captures attention. 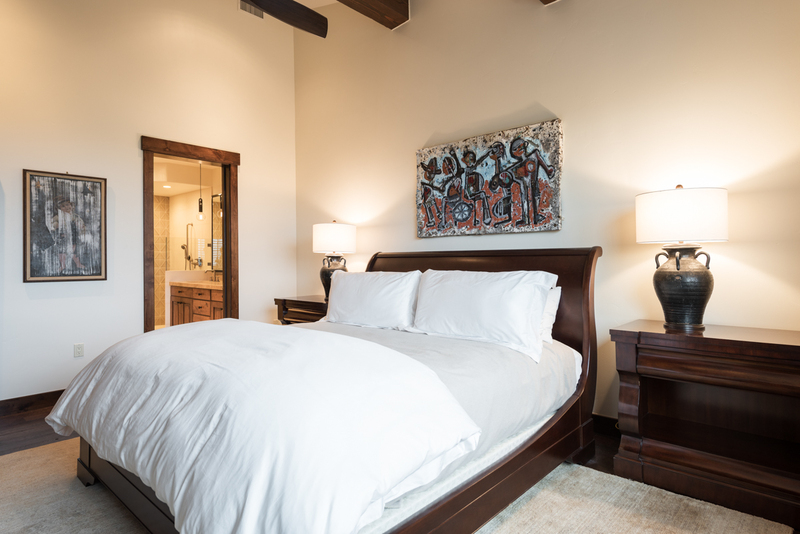 Bold, abstract and nature-themed artwork accent every living area, complemented by intriguing Southwestern sculptures and light fixtures. 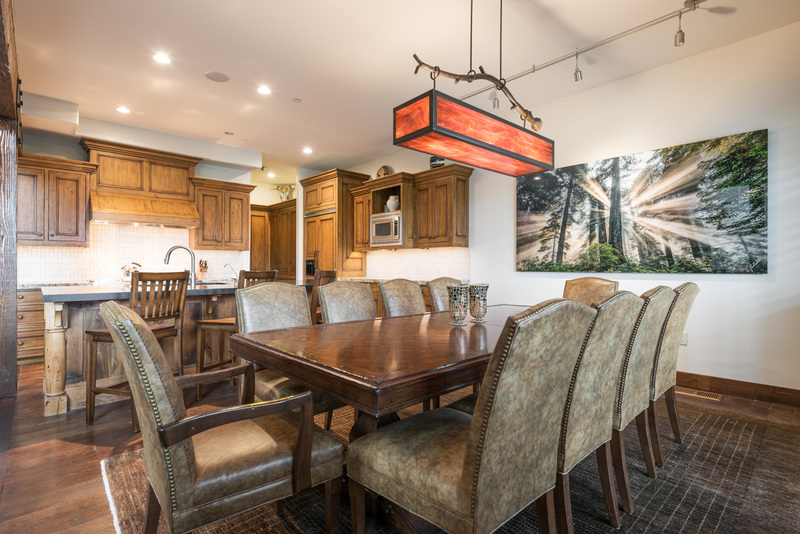 An amber glass light box hangs above a 10-seat formal dining table, with two additional seats available for larger parties. 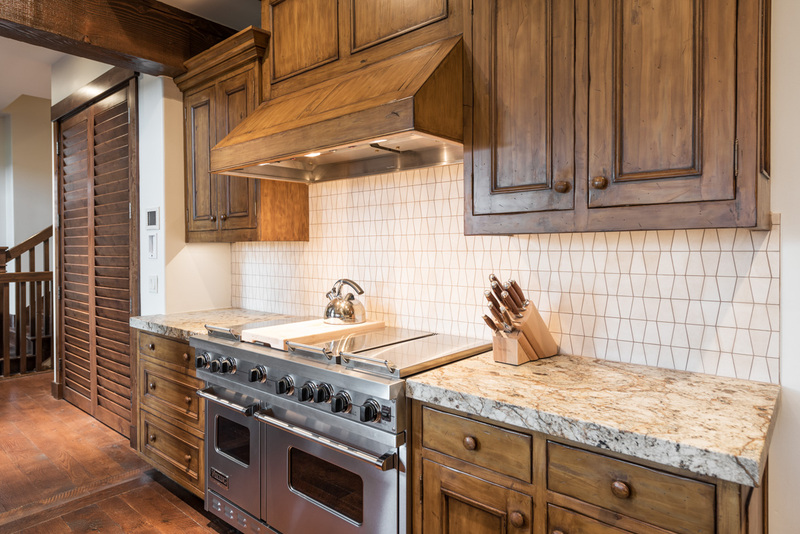 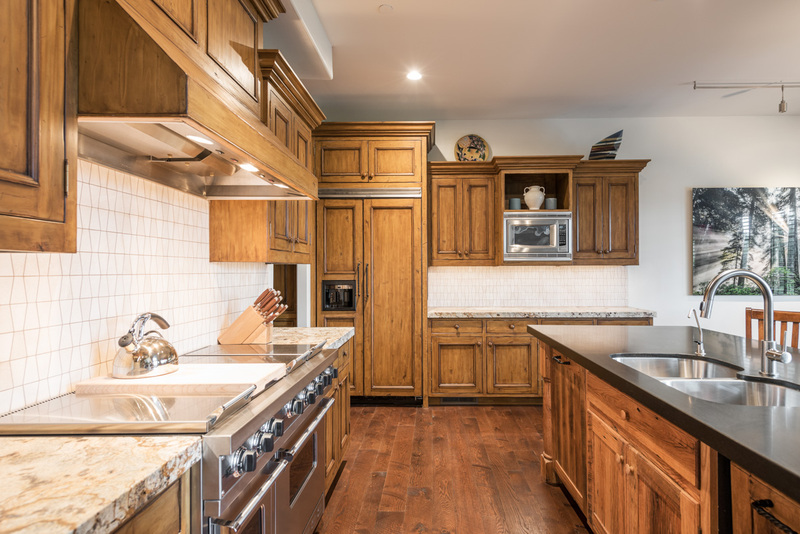 The gourmet kitchen features top-of-the-line appliances and granite countertops to easily cook homemade meals. 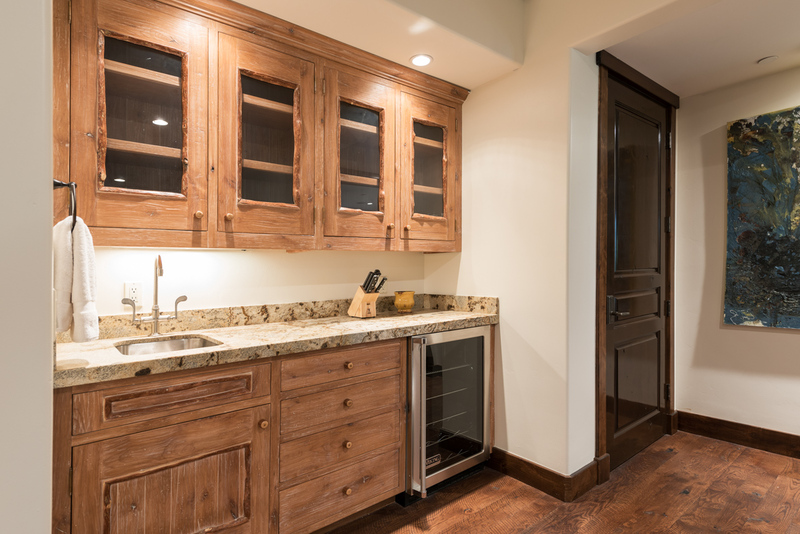 You can even arrange to have the kitchen stocked before you arrive, but with a custom elevator ready to sweep you from floor to floor, you won’t have any trouble carrying groceries from your heated garage. 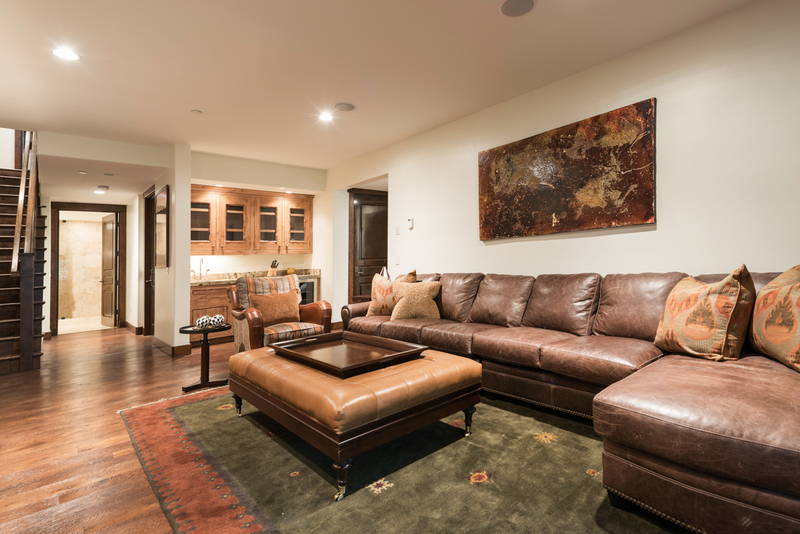 You can also take the elevator down a floor to the second living area, which features a leather sofa, a Southwestern-style armchair, wet bar and flat-screen TV. 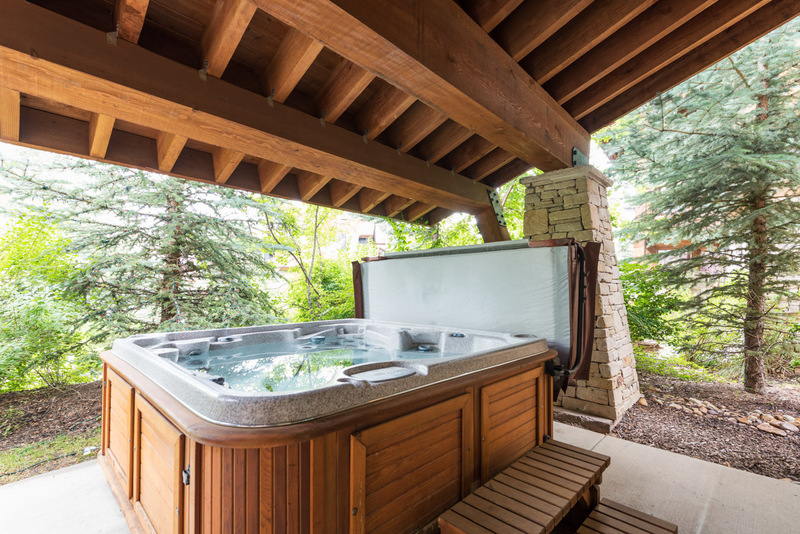 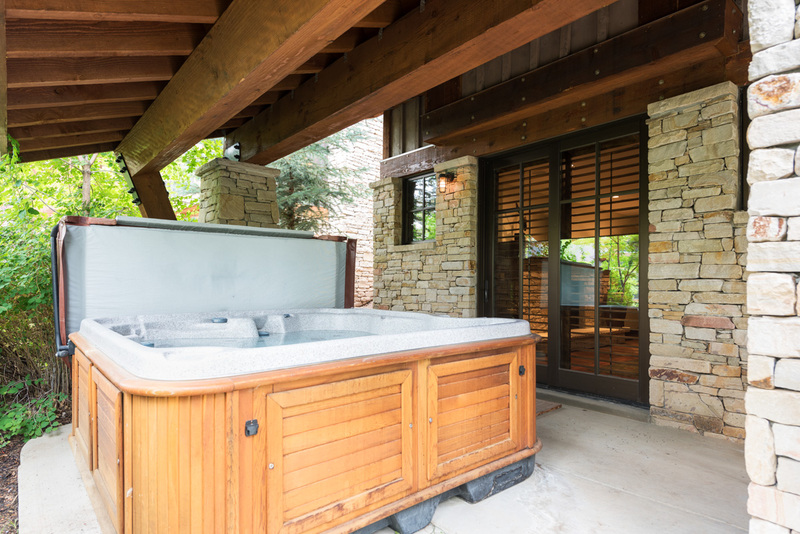 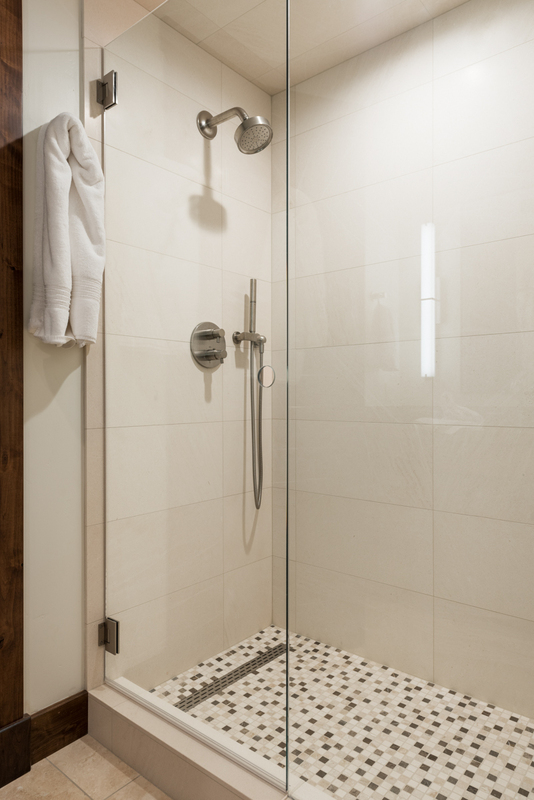 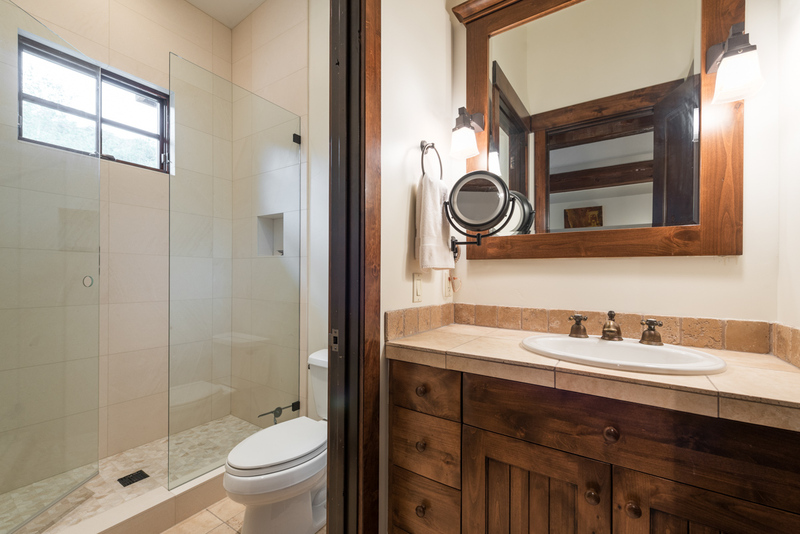 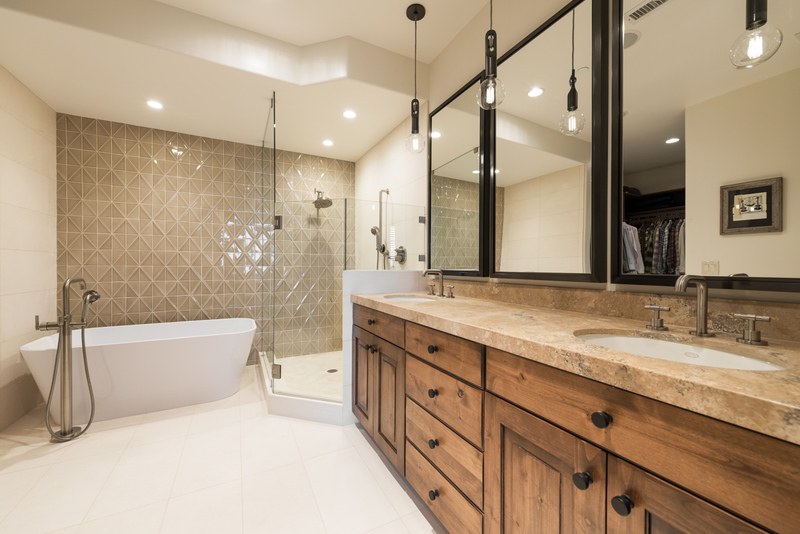 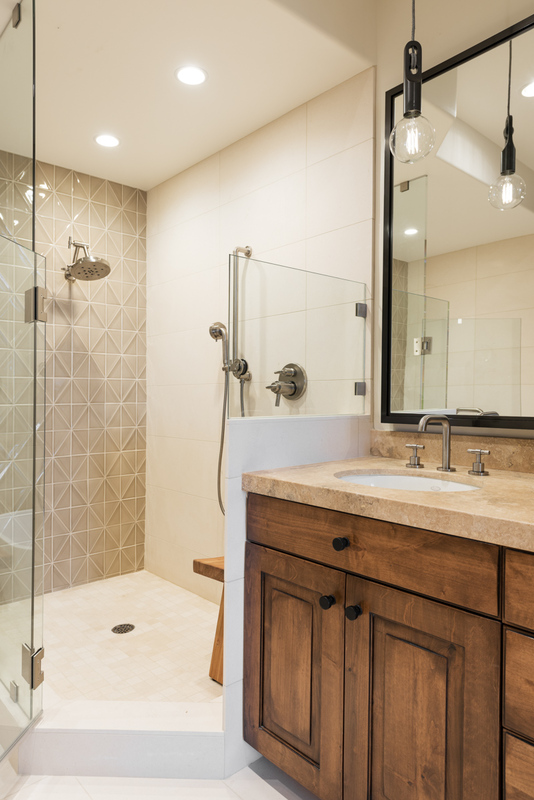 Double doors open onto a covered deck, where you can access the private tub. 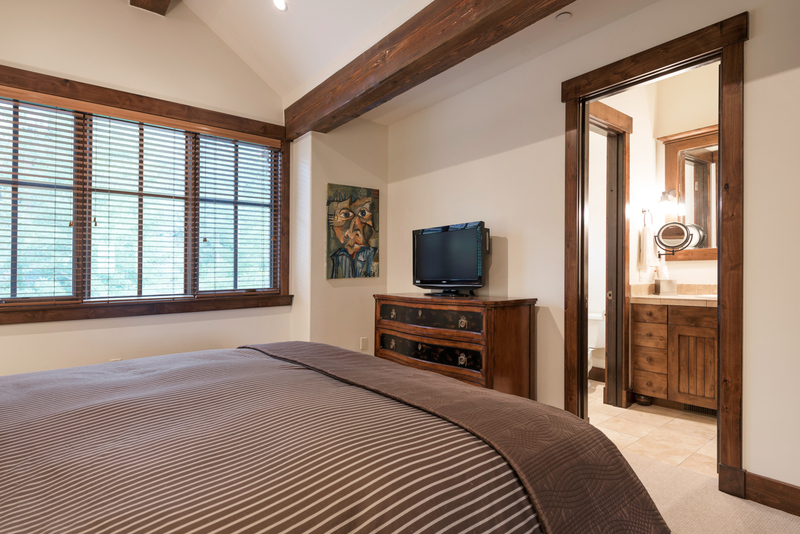 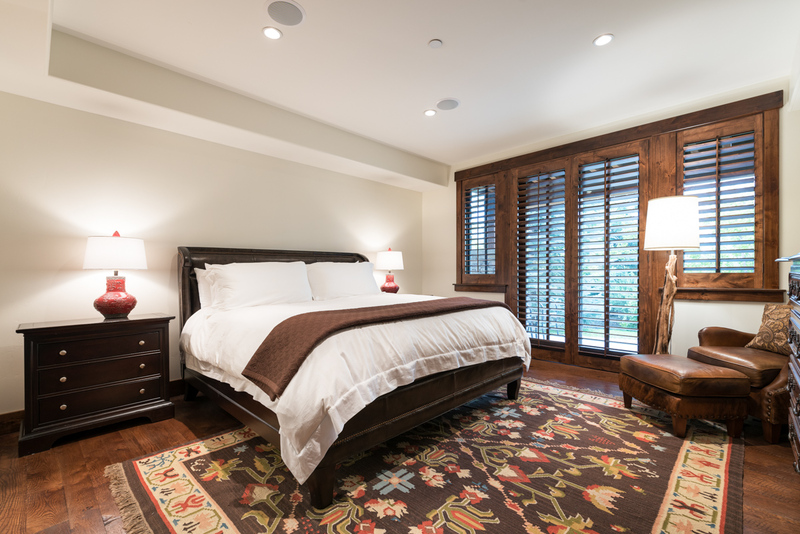 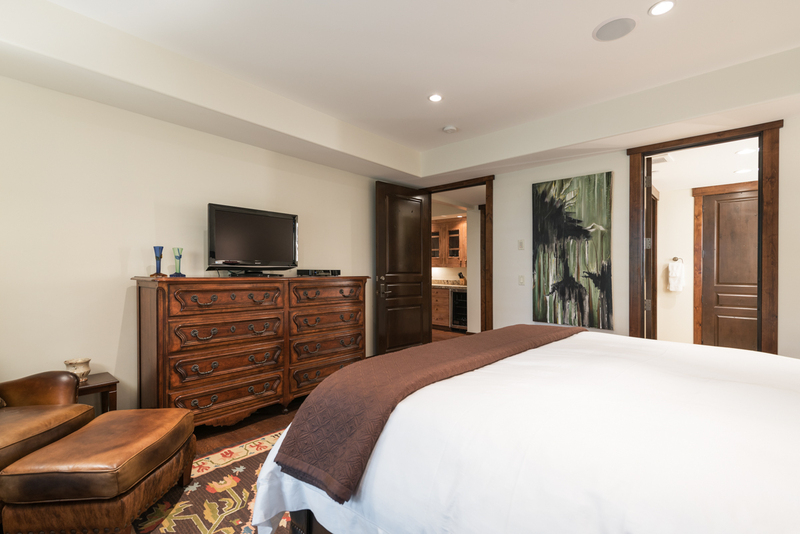 This lower level also features two bedrooms, including a junior master with a king bed, en-suite bath and private outdoor space, and a guest bedroom with two queen beds and en-suite bath. 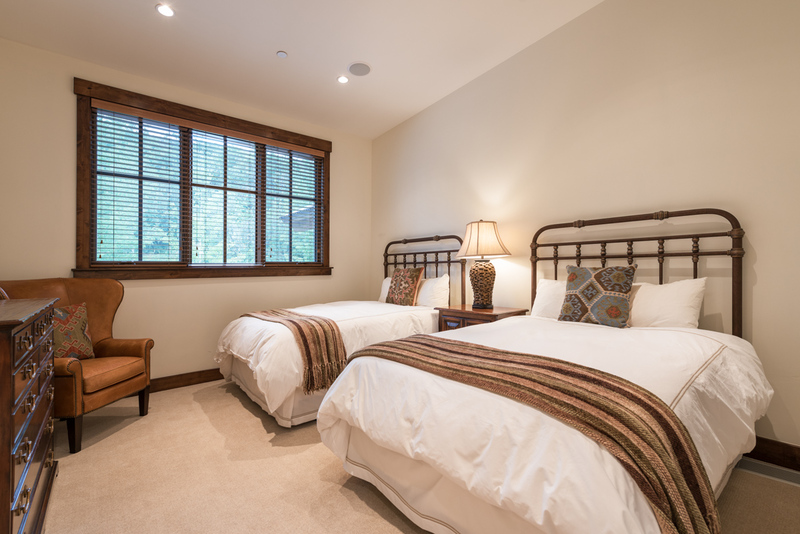 The light-flooded master and guest master bedrooms are located on the top floor with vaulted ceilings and picture windows. 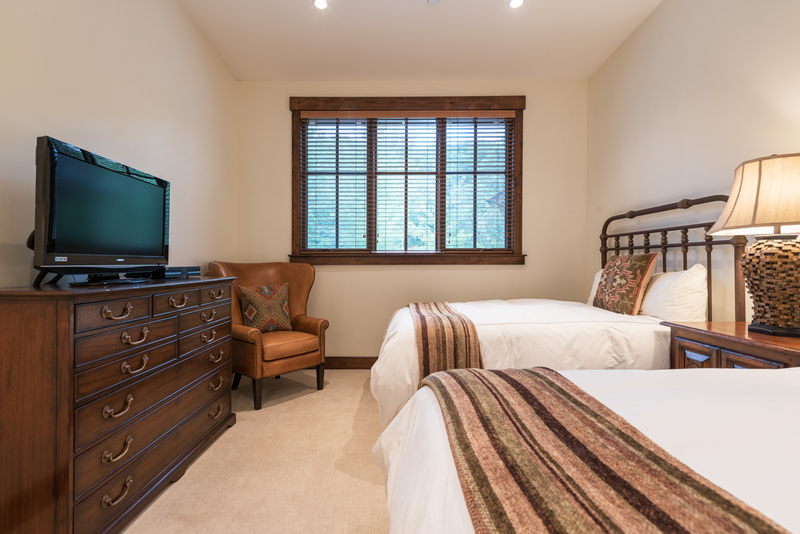 Both have king beds and en-suite baths. 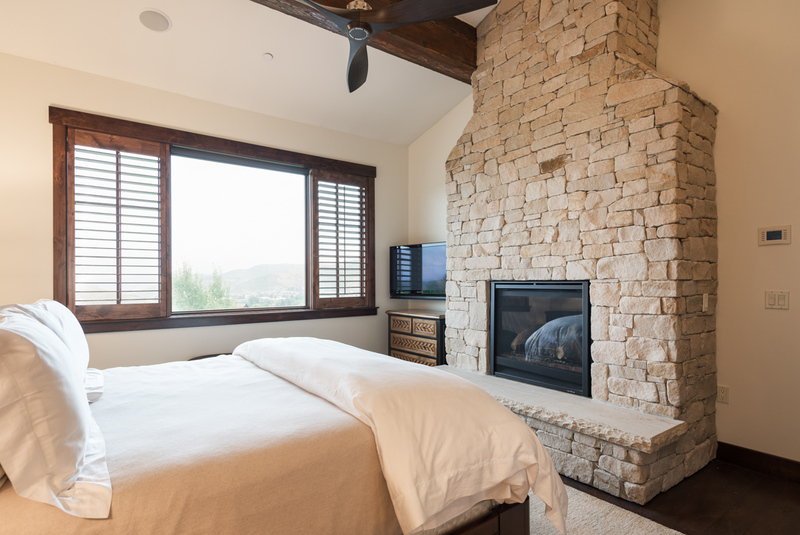 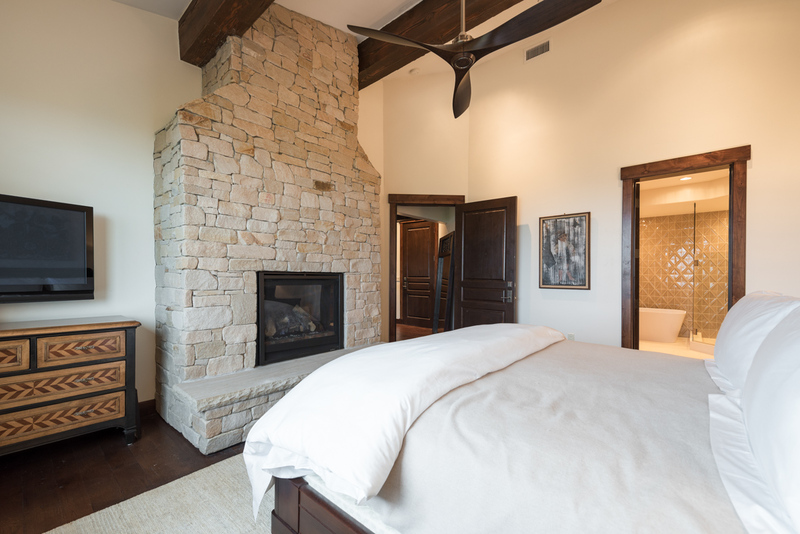 The master also features a gas fireplace, flat-screen TV, and an office area. 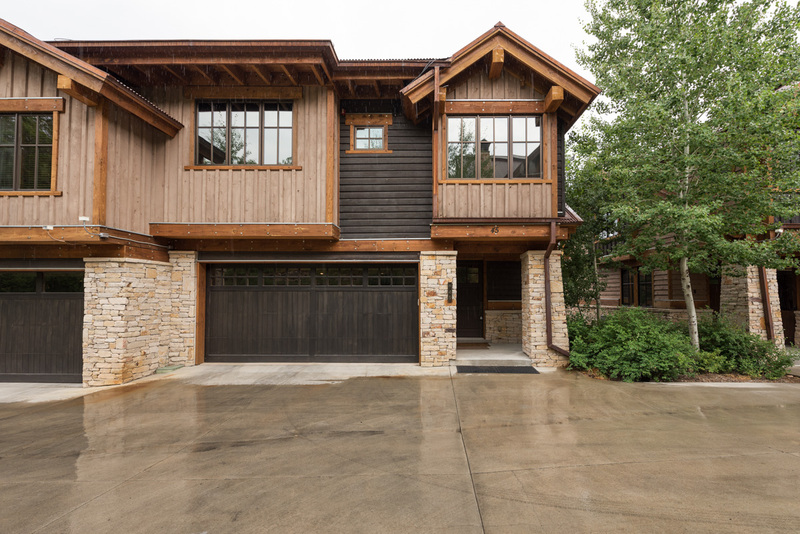 Outside this cottage, you’ll find yourself surrounded by mountains at the end of a quiet court, a short walk from the Silver Star Cottage access lift. 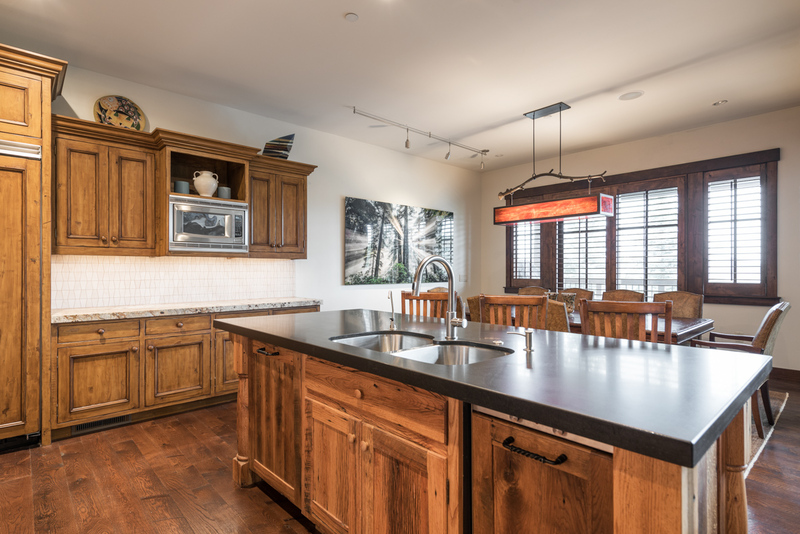 At the main Silver Star Plaza, you’ll find the express Silver Star chairlift, an on-site restaurant with year-round live music, an equipment rental shop, and an open-air lounge area.